They say that knowledge is the only thing that cannot be stolen away. Knowledge, in general, can be obtained through a lot of things, like education and experience. It is not quantifiable and cannot be measured, but its importance is priceless. There are different levels of education beginning from kindergarten, elementary, high school, and university. There are several schools all over the world that offer great programs for students. Certain universities and institutes worldwide offer courses that they are highly specialized at. If one is a student looking to further develop their knowledge and skills in a technical field, then one may opt to study in Japan. Japan is a country that is well-known for a lot of things like its rich culture and heritage, the scenic views of the mountains, its cherry blossoms, and its pop culture including anime and manga, the Land of the Rising Sun is also famous for being technologically advanced. A number of its educational institutions are amongst the top universities in the world. Specializing in the field of science and technology, Japanese universities are among the leading Asian universities in the world. While there are several colleges and universities all over Japan that offer great programs and courses for students who are interested, many of them can be found in the city of Tokyo. 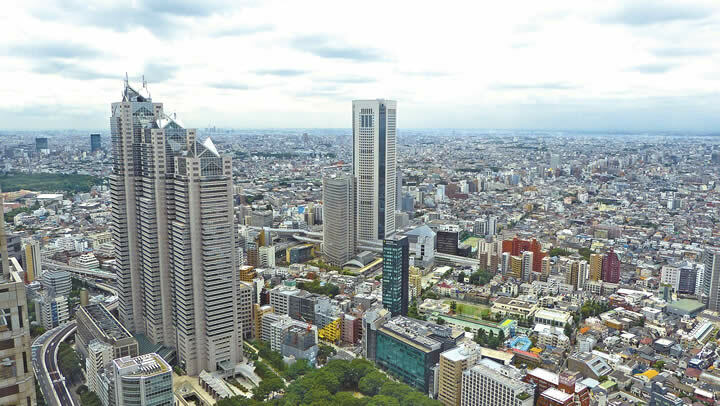 Also known officially as Tokyo Metropolis, the city of Tokyo is the capital of Japan. As one of the 47 prefectures in the country, the Greater Tokyo Area in the city of Tokyo is considered the most populated metropolitan area in the world. Located in the southeastern area of Honshu in the Kantō region, Tokyo is the base of the Emperor of Japan and the national government. Even though Tokyo can be considered a city, it is officially identified and also administered as a “metropolitan prefecture.” It is basically a combination of elements of both a city and a prefecture, which makes Tokyo have a unique character to it. It is divided into 23 special wards, 26 cities, 1 district, and 4 subprefectures. With a total area of 2,187.66 square kilometers or 844.66 square miles, Tokyo has a population of 13,617,445 people based on a survey conducted on the 31st of July in the year 2016. That makes Tokyo have a density of 6,224.66 persons per square kilometer or 16,121 persons per square mile. Because Tokyo is the biggest local and international center for rail, ground, and air transportation in the country, its transportation system is truly unlike any other. Cleanliness and efficiency are some of the major factors that are considered in the operation of the trains and subways in the metropolis. There are also buses, monorails, and trams that serve as a secondary feeder in the transportation system. Residents and students in the metropolitan area definitely benefit in the fast and efficient transportation system as they can gauge the time needed and spent for transportation. As for education, the metropolis houses some of the largest national universities in Japan. Even some of the most prestigious universities are also located in Tokyo, such as the University of Tokyo, Tokyo Institute of Technology, Keio University, Hitotsubashi University, Tokyo University of Science, and Waseda University. There are also a number of institutions in Tokyo that are quite well-known for conducting classes in English and teaching the Japanese language such as the Globis University Graduate School of Management, International Christian University, and Sophia University. For those who are interested in pursuing their studies in Tokyo, especially international students, a concern may be the number of drugstores and hospitals nearby in case of emergency. This is understandable especially for non-local students who are not at all familiar with their surroundings and might get sick during their stay. There are several hospitals all over the metropolitan area, such as the JR Tōkyō General Hospital, Tokyo Medical University Hospital, National Center for Global Health and Medicine, NTT Medical Center Tokyo, and The University of Tokyo Hospital to name a few, that houses great doctors and specialists in their own field. As one of the biggest national universities in the metropolis, the University of Tokyo, also known as Todai, is a research university. Located in Bunkyo, the University of Tokyo is the first of the National Seven Universities in the country. 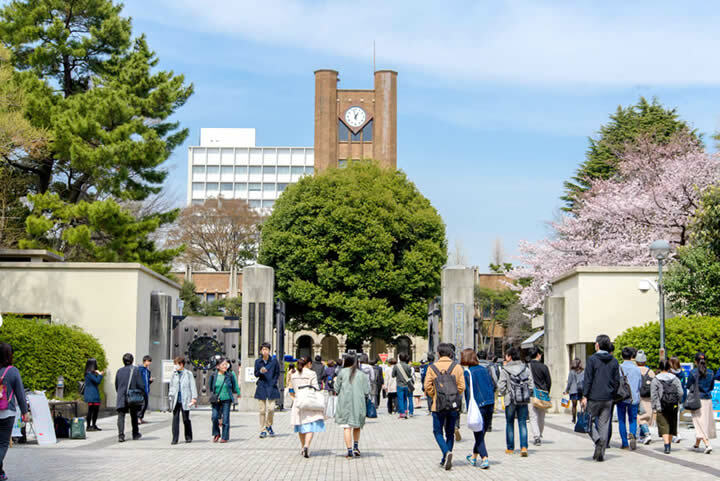 Housing 10 faculties and not less than 25,000 students with more than 2,000 international students, the University of Tokyo has five major campuses namely in Hongō, Komaba, Kashiwa, Shirokane, and Nakano. About 14,000 students are undergraduates, 13,000 postgraduates, and 6,000 taking their doctorates. More than 700 are research students. Back in the year 2012, the University of Tokyo was ranked 1st in Asia and 20th in the world by Academic Ranking of World Universities. Come the year 2013, it was ranked 1st in Asia and 27th in the world by Times Higher Education World University Rankings. The university then climbed up two years later when it was ranked 23rd in the world, still by Times Higher Education World University. The university still maintains its top position, as proven by its ranking of 1st in Asia by both Times Higher Education World Reputation Rankings and Global University Ranking and by its ranking of 12th in the world by Times as well in the year 2016. The university has produced notable alumni through the years. 15 of the prime ministers of Japan were graduates of the University of Tokyo. Furthermore, 12 alumni who came from the university were recipients either of the Nobel Prize or the Field Medal. Consequently, these alumni were known for majors like mathematics, physics, literature, medicine, and chemistry. Some of them include Kunihiko Kodaira in the year 1954, Sin-Itiro Tomonaga in the year 1965, Eisaku Satō in the year 1974, Masatoshi Koshiba in the year 2002, Ei-ichi Negishi in the year 2010, and Yoshinori Ohsumi in the year 2016 among others. Being the only single non-national public university in Tokyo, Tokyo Metropolitan University, also known as Shuto Daigaku Tōkyō in Japanese, is also a research university. Located in Hachioji, Tokyo Metropolitan University is a public university established in the year 1949 and reformed in the year 2005. With the motto of “to pursue the vision of an ideal human society in a metropolis,” the university has more than 650 full-time academic staff. It is currently composed of not less than 8,500 students, more than 6,500 of which are undergraduates, at least 1,900 are postgraduates, and around 450 are students pursuing their doctorate. Founded in the 1900s, Tokyo Metropolitan University only had three faculties at the time namely Humanities, Science, and Technology. Through the years, the institution further developed and it has now numerous faculties, graduate schools, and facilities. Presently, the university has five campuses namely the Minami-Osawa Campus or the main campus, Hino Campus or Faculty of System Design and Graduate School of System Design, Arakawa Campus or Faculty of Health Sciences and Graduate School of Human Health Sciences, Harumi Campus or Law School, and Marunouchi Satellite Campus or Business School. Its faculties for the undergraduate division include Urban Liberal Arts, Urban Environmental Sciences, System Design, and Health Sciences. The faculty of Urban Liberal Arts can be further subdivided into departments, with Humanities and Social Sciences, Law and Politics, Business Administration, and Science and Engineering. Its graduate schools include Humanities, Social Sciences, Science and Engineering, Urban Environmental Sciences, System Design, and Human Health Sciences. While it is considerably small for a national university in Japan, it still maintains as among the most reputable ones in the country. It was placed within the top 10 universities in Japan by times Higher Education World University Rankings. Furthermore, Tokyo Metropolitan University has also established several international partner institutions from all over the world such as in the United States of America, Europe, Canada, Australia, Taiwan, South Korea, and Thailand. Among the largest national universities in Tokyo, Tokyo Gakugei University, also known as Gakudai in Japanese, is located in Koganei, Tokyo. It was founded in the year 1873 and later on, was officially chartered in the year 1949 as a university. Tokyo Gakugei University currently has 342 administrative staff and almost 6,000 students. These students are composed of more than 5,000 undergraduates and around 900 postgraduates. Presently supervised by President Yasuhiko Washiyama, Tokyo Gakugei University is currently focused on developing programs for qualified school teachers. These programs include both evening and short-term courses. The university also has national research centers that are also focused on fields that are related to education. It is quite popular as a university for students who wish to pursue a career in teaching. This is because the university has continually served a role in the national development of policies in terms of education. 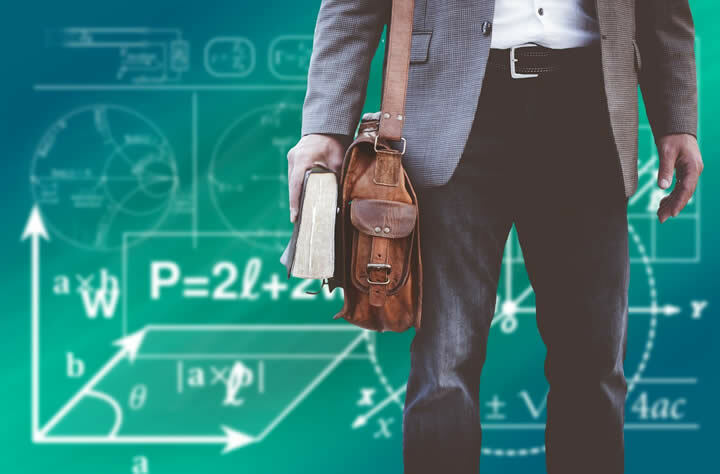 Due to this specialty, it comes as no surprise that most of its faculties are composed of courses or departments that specialize in teacher training. This includes A Course or the Department of Elementary School’s Teacher Training, B Course or the Department of Junior High School and High School’s Teacher Training, C Course or the Department of Special School’s Teacher Training, L Course or the Department of Long-Life Studying, and K Course or the Department of International Understanding and Education to name a few. Surprisingly, some of its most notable alumni and affiliates are associated to contemporary arts and music. For those people who wish to pursue courses that are not as common as other programs, there are still universities in Tokyo that may cater to one’s desired course. As for the ones who wish to pursue agricultural studies, the Tokyo University of Agriculture might just be the one for you. As the name suggests, this university specializes in agricultural courses and programs. 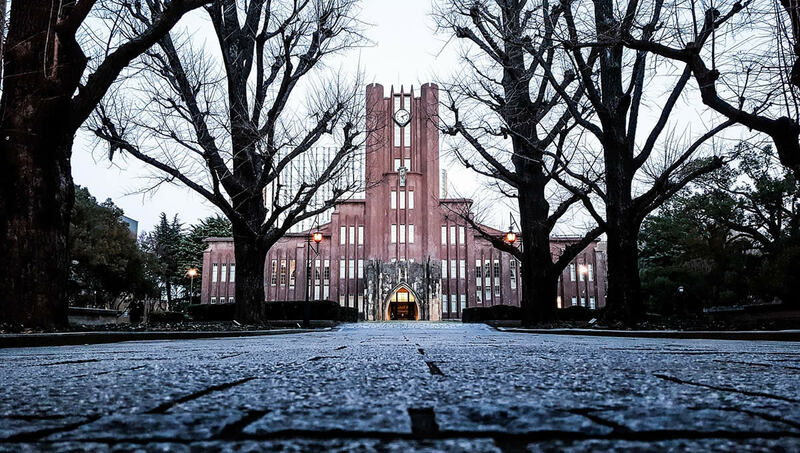 Also known as Tōkyō Nōgyō Daigaku in Japanese and abbreviated as Nodai or Tokyo Nodai, the Tokyo University of Agriculture is the sole private university in the country that focuses on the study of agriculture. It has three main campuses that are located in different places namely in Setagaya-ku that houses the Tokyo campus, in Kanagawa that houses the Atsugi campus, and in Hokkaido that houses Okhotsk campus. Each campus is composed of distinct faculties, with the Tokyo campus comprised of the Faculty of Applied Bio-Science, of Regional Environmental Science, and of International Agriculture and Food Studies. It is also important to note that this university is not the same as the Tokyo University of Agriculture and Technology despite their names sounding quite similar to each other. The Tokyo University of Agriculture also has two graduate school programs that students may be interested in namely in Agriculture and in Bio-industry. The university is third in rank when it comes to universities that offer or specialize in agricultural programs. There are, of course, many more universities in Tokyo that one can study in. Every university has its own set of requirements and policies when it comes to accepting students in various fields. Most, if not all, of these universities have their own websites where more information can be found regarding guidelines on how to apply, how local and international students can adjust to their life in university in Tokyo, how they will meet other students from different blocks and learn to collaborate with them, and the specific days of when applications for any of their programs would need to be submitted. Studying in a university in Tokyo would definitely be a worthwhile albeit a different experience. There is much that universities in this metropolis can offer to interested applicants. While it may seem intimidating in the beginning as these universities are among the top schools in the country, the lessons and the knowledge that will be learned along the way would most certainly be useful not just in the technical aspect of learning but also in lifelong learning.